Wellington AFC traces its formation back to 1892 and for many seasons played in leagues based around Taunton and Tiverton. In the early 1960s it gained elevation to the Somerset Senior League and succeeded in achieving Western League status in 1978 which has been retained ever since, making the Club one of the League’s longest continuously serving members. 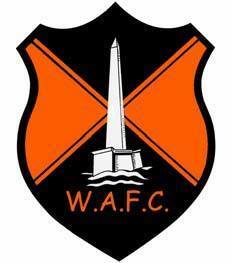 The Club entered the Western League in the First Division in 1978/79 season and has played at Premier Division level from 1981/82 to 1984/85 and 2008/09 to 2010/11. All other seasons were at Division One level. Back in the Premier Division last season following their promotion as First Division Champions at the end of the 2016/17 season the First Team finished a creditable 15th. They also reached the semi-final of the Somerset Premier Cup losing 4-1 away to Southern League Paulton Rovers. They hope to build on these achievements in the forthcoming season. The Club’s Reserve side play in the Devon and Exeter League Division One. Having finished eighth for two seasons, unfortunately, the team struggled last season but will play at the same level this year. The Third team played in Division Six of the Devon and Exeter League last season having gained promotion from Division Seven by finishing third at the end of 2016/17. They ended the season in a creditable eighth place but will transfer to the Taunton Saturday League Division Three for the new season. The Club’s Ladies side finished sixth in the Somerset County Women’s League First Division last season. The team play a full role in both the playing and non-playing aspects of the club. This season the Club will be running 22 teams in its Youth and Mini Sections. These teams see both boys and girls playing from the age of eight right through to 18. The Club also has two disability teams. There are exciting times ahead – as part of the local Playing Pitch Strategy the Club are currently in talks with the local councils with a view to moving to a larger ground which will consolidate football in the town on one site. Outside its core footballing activities, the Club is home to several darts and skittles teams and it runs a full programme of social events for members and non-members alike.